With SCA’s diverse range of opportunities and concentrations for students to explore, it is merely a question of each student finding their particular passion. Be it drama, romance, comedy, avant-garde or anything in between, each SCA student is well equipped to find their niche. 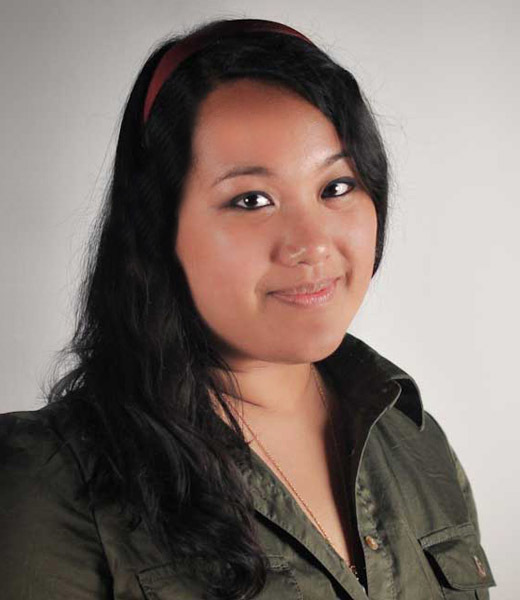 For SCA MFA Production alum Jess Dang, this road led her talents toward documentary filmmaking. Dang recently sat down with SCA to discuss her film Made By Me, the nature of documentary filmmaking and advice for students who are interested in the doc route. Please tell us your name, graduation year and division. My name is Jess Dang. I graduated in May 2012 out of the MFA Film and Television Production Program at SCA. Tell us about Made by Me. What's the pitch? 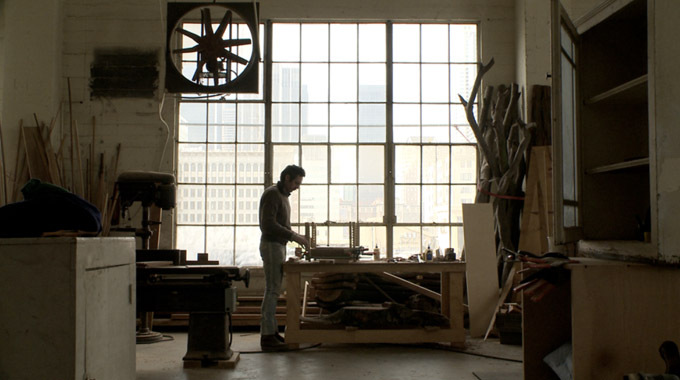 Made by Me is a short documentary film that explores the connection between three Los Angeles artists and their crafts while immersing the viewer in each creative process. The result is a lyrical piece celebrating handmade goods in a world of mass-production. Made by Me traces the discipline, practice, and care these artists apply to their crafts. Like the processes themselves, it is an experience at once meditative and visceral, intimate and sublime. What made you want to explore this topic? I have a background in design, so it has always been natural for me to notice new products, designers and trends. Over the past four to five years, I noticed that handmade products were becoming more and more popular in major cities across the United States. I immediately questioned why people were gravitating towards handmade products as opposed to mass-produced ones. It's interesting to see that there is a large community of designers and non-designers who are finding their sense of individuality by what they make. And I think there's something really valuable about making something with your hands. How did your time in the Production Program prepare you to turn it into a documentary film? 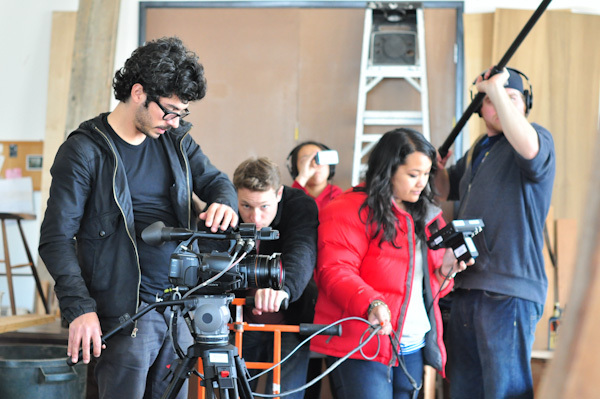 The film was made in CTPR 547, an advanced documentary class, during the spring of 2011. The class structure helped me go through each step of the filmmaking process. What did you find was the biggest challenge in making a documentary as opposed to a narrative film? The biggest challenge was building trust with my subjects and really allowing the footage to inform the final product. Made By Me was my first documentary film, and I really wanted to capture the artists working in their natural environments. What was one of your favorite moments while filming? Collectively sharing moments of anticipation with the crew, while a piece of glass was forming in front of us. It was hypnotic! Do you plan on continuing as a documentary filmmaker, or will you be exploring different styles or some mixture of both? I plan on making documentary and fiction films that have a strong visual sensibility. I am particularly drawn to the styles of Wes Anderson, Saul Bass (for title design), and Julian Schnabel. Were there any SCA professors that had a particular impact on your work as a filmmaker? Yes, I'm very grateful for the advice and support of Mark Jonathan Harris, Amanda Pope, Brenda Goodman, Lisa Leeman, Doe Mayer, Pablo Frasconi, Richard Burton and Kate Amend. Each professor offered their support from the pre-production phase, all the way through development and up until the final film. The class was structured in a way where dailies and cuts were viewed and discussed during each week of principal photography. I was very lucky to receive feedback from them, and I really enjoyed learning various methods of documentary filmmaking. I have the greatest amount of respect for the faculty and can't thank them enough for their involvement in the project. Do you have any advice for current or prospective SCA students that are interested in going the documentary route? Yes, patience and flexibility are two keywords. Due to the nature of documentary, there also needs to be a deep level of trust between the filmmaker and subject. I'd highly recommend taking proper time to build that trust because it makes the film authentic. Are there any projects you are currently working on? I'm currently developing a feature-length documentary about the life and work of Ryan McGinness. McGinness is currently coined by The New York Times and The Wall Street Journal as the Andy Warhol of our generation. I am also co-writing a romantic comedy screenplay. It's all very exciting!